Summer time is just around the corner and a nice cool swimming pool is what everybody needs for the upcoming San Antonio hot summer days. Some homes have a backyard pool while others have a neighborhood pool. "Lovely single story energy efficient home features 3-bedroom 2-bath with game room. Perfect starter home in Sundance Ranch. Carpet only in the bedrooms with beautiful white ceramic tile throughout the rest of the house. Back covered patio perfect for those summer bbq's while looking directly into a green belt. Neighborhood offers pool and clubhouse and a jogging/hiking trail 200 feet from the house. NISD schools and close to Lackland AFB, shopping, Sea World, and restaurants. This is a mus"
"This single story 3 bedroom, 2 bath home features 1151 sq ft of living space. The layout features a split master bedroom. Open dining room/living combo. Great back yard!" 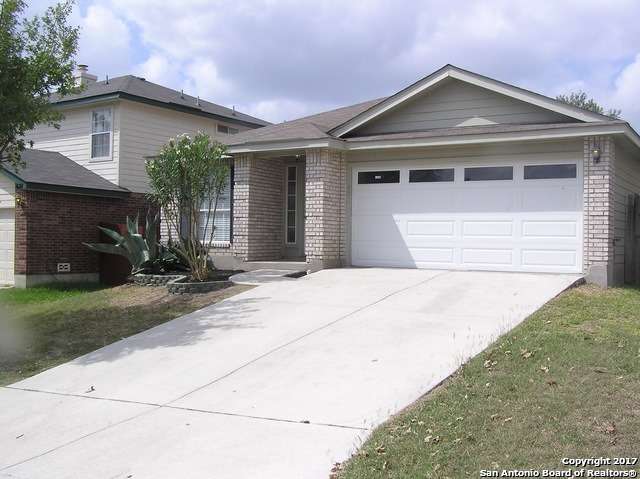 "Very well maintained home in the popular Great Northwest subdivision. Very nice open floorpan. Mature trees in front and back yard. Close to shopping and major highways. Bring your buyers, it will not last long!" "Back on the market!! Featuring a beautiful pool, just in time for summer. Recently renovated home in Donaldson Terrace. Beautiful wood floors in living and bedrooms. Completely updated Kitchen with granite counter tops. New Central Air with a 9 year parts warranty. Energy efficient details include: in wall insulation with new sheetrock, new windows, and all new Pex plumbing. Huge, open backyard with storage shed. 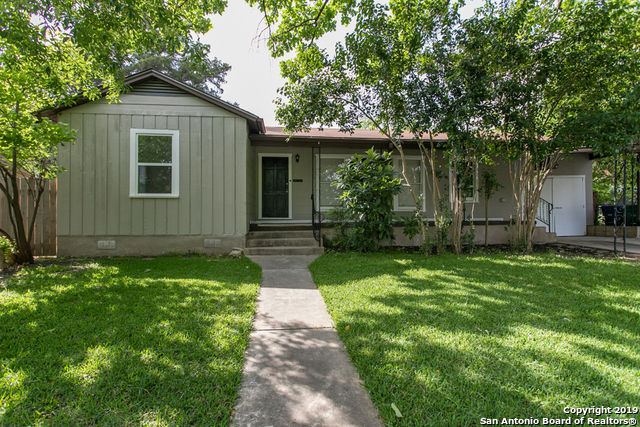 Fantastic location, convenient to multiple highways and near Woodlawn Lake." "Comfortable single story home, 3 bedrooms, 2 baths, 2 car garage, with a new air conditioner. 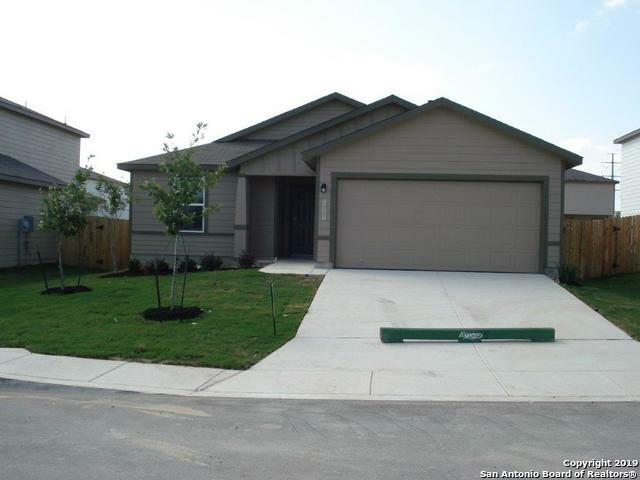 NISD Schools, Elementary school in the neighborhood, pool and park nearby, Close to shopping/LAFB/1604." "Welcome to Canopus Bow in the desired Solana Ridge subdivision! This home offers 3 beds & 2 baths, open concept, high ceilings, master bath-separate tub & shower, huge master walk in closet, island kitchen with dining area with brick accent wall, designer paint colors, and awesome backyard with a huge patio slab ready for summer entertaining. 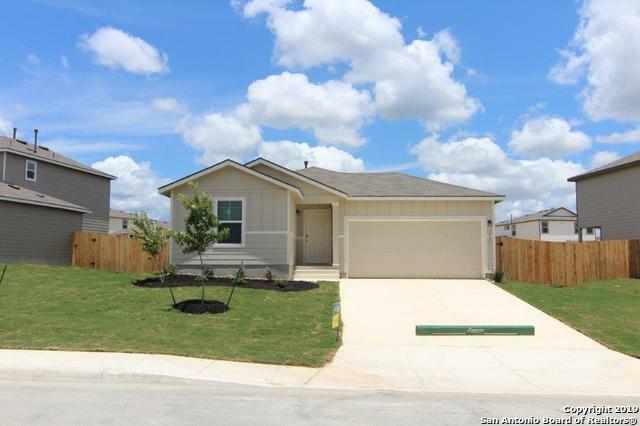 Close to Lackland AF base, schools, shopping and dining. Come see this wonderful home who is waiting for a new family!" 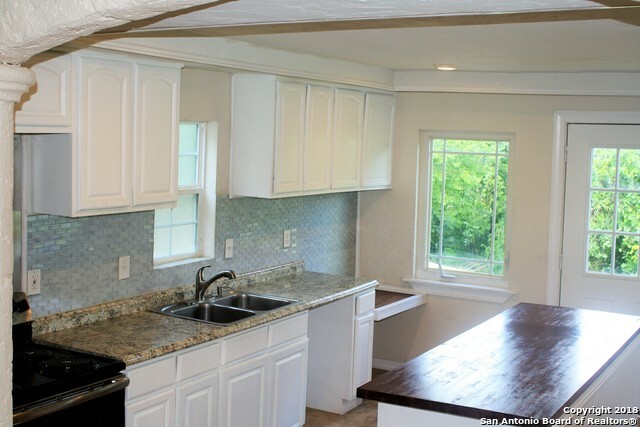 "You'll fall in love with this home that has been completely remodeled. The gorgeous kitchen has Cashmere Cabinets, White granite, White Glass backsplash and Stainless Steel appliances. Zero carpet and 100% Wood Plank Ceramic Tile in the entire house. All NEW Moen Plumbing fixtures and LED electrical fixtures. Spacious Master Bedroom with Walk-in Closet. New interior paint and new rear sliding door. Brand New Roof with 5 Year Transferable Warranty. Don't Miss out! Open House this Saturday 4/20/19"
"This single story 3 bedroom, 2 bath home features 1180 sq ft of living space. The layout features a split master bedroom. Open dining room/living combo. Great back yard!" 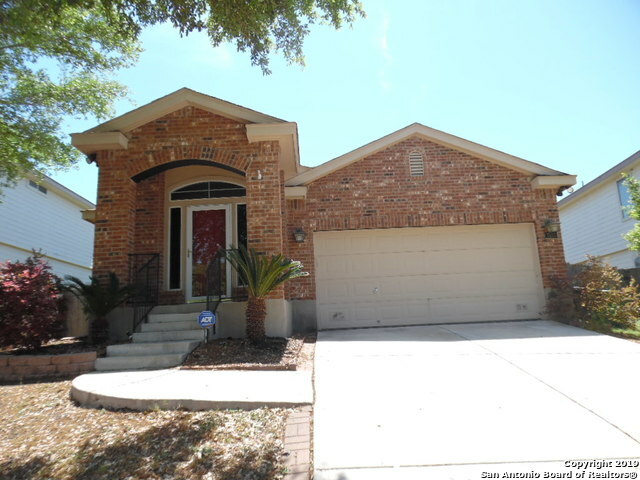 "Very nice 3 bedroom, 2 bath, 2 car garage home in Mission Del Lago. Floor plan is open with 9' ceilings. Kitchen has granite counter tops, stainless steel appliances, walk in pantry and 36 cabinets. Gas cooking a plus! Master suite is separate from the second and third bedrooms and has a bath with separate shower and garden soaking tub. Ceiling fans throughout the home. Current owner put in a new front door and covered wood back porch. Access to golf course that backs up to community." "Scenic Hills is a gated/guarded community designed for adults 55 & over. 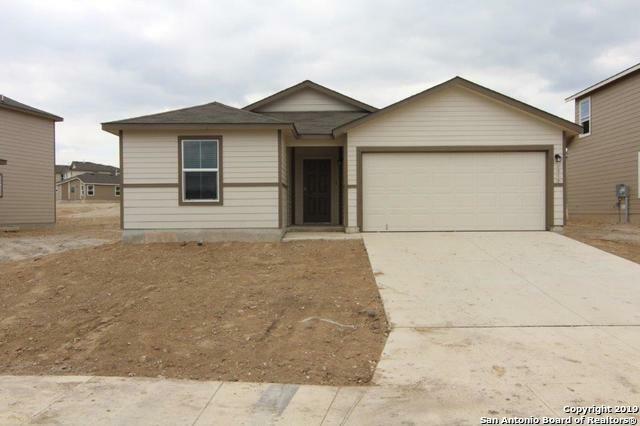 This beauty of house is 2625 sq ft is Located just off I-35, only minutes from Schertz, Selma, San Antonio, Universal City, New Braunfels & Randolph Air Force Base. Home Features vinyl plank floors in the living room & formal dining. Spacious kitchen w/lots of cabinets, stainless appliances including Refrigerator. Master bedroom down w/separate tub & shower + double vanity. Come see it today!" "Don't Disturb Occupants, very uncooperative occupants they don't want to pay rent or move out." "Very popular floor plan! This 1 story home boasts 2 big living rooms & 2 great eating areas w/an island bar. Many windows add great natural light in all the rooms. Ceramic tile everywhere except bedrooms, which have laminate. Your Master Retreat has a step in shower, garden tub ideal for relaxation, a generous walk-in-closet and recently installed laminate floors. Updates: Fresh paint inside, replaced toilets, new roof. Close to Lackland AFB, SeaWorld, medical, shopping and eating." "Beautifully renovated single story 3 bedroom 2 bath in Northcliffe Subdivision. Home features remodeled kitchen with granite countertops, new all appliances, new wood, tile and carpet flooring, new int./ext. paint, new fixtures, both bthrms updated w/granite and mst has custom walk in shower and all this will come new roof and recently installed HVAC. Schedule a showing today." "Single Story Charmer! Neighborhood amenities & quaint subdivision! Open floor plan is sure to please! Spacious master retreat has generous bathroom with double vanities, garden tub, walk-in shower, water closet and a big closet. Split bedroom, open floor plan with spacious living room & dining room combo. The kitchen has adorable island & breakfast area. Covered porch in back & xeriscaped front yard! 2 Car Garage. Recent improvements include new paint, carpet & lots of TLC!" "Cute corner lot in sought after community. New NISD elementary school in neighborhood. Convenient to schools, new shopping and new dining. Great community pool, playground and basketball court. Mature trees with covered back patio. Large laundry room for extra storage. Huge living area in this open floor plan single story." 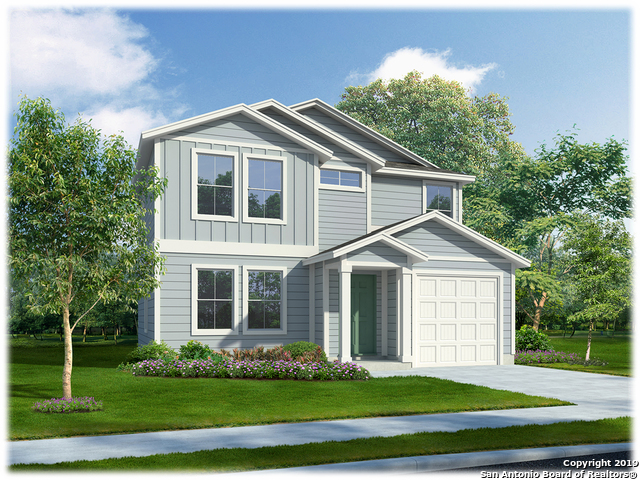 "This two-story 3 bedroom, 2.5 bath home features 1508 sq ft of living space. The layout features an open dining room/living combo. Great back yard!" 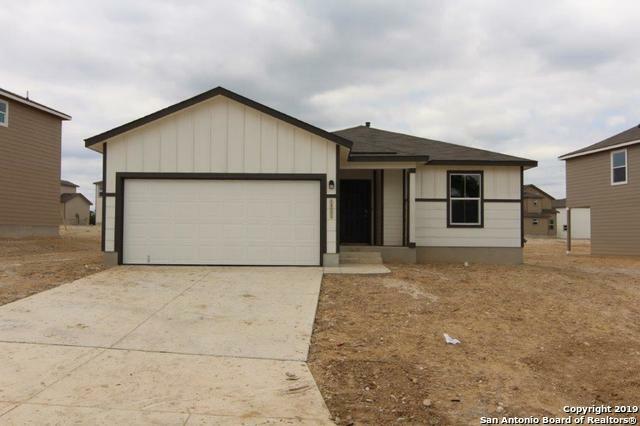 "This single story 3 bedroom, 2 bath home features 1310 sq ft of living space. The layout features a split master bedroom. Open dining room/living combo. Island kitchen, great back yard!"